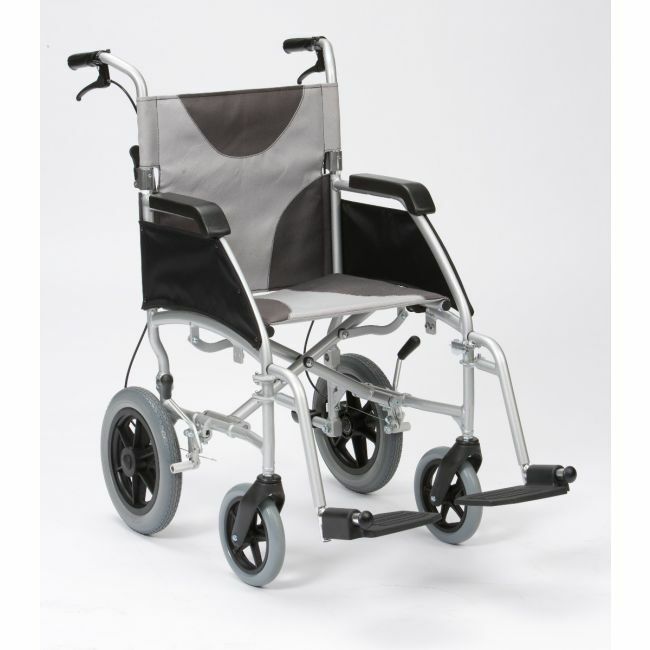 Find peace of mind with an ultra lightweight transit wheelchair that has been tested for safety. The Enigma Ultra Lightweight Transit Wheelchair is a folding wheelchair that's extraordinarily lightweight thanks to its cleverly designed aluminium frame weighing much less than similar steel wheelchairs. Despite this, the Enigma Ultra Lightweight Transit Wheelchair supports users up to 18 stone with ease.